While there's little doubt that RFID tags are set to take over the world in everything from e-cash to warehouse inventory tracking, they haven't yet made much impact in cars – something Mitsubishi aims to change. 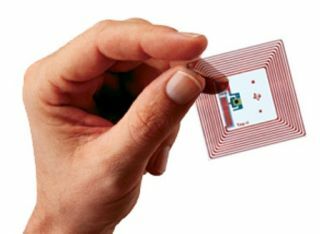 The Japanese company says it has developed a new RFID reader that can pluck data from tags zipping by at up to 100kph, thereby opening up new applications for the wireless technology. Aside from enabling factories to now use RFID to track products on conveyor belts, the Mitsubishi technology is certain to find a home in new highway toll gates. Existing automatic toll gates require cars to slow down considerably so that readers can get data from IC cards or other wireless identifiers and charge accordingly. Mitsubishi's system would allow vehicles to move through at speed, thereby reducing the toll-gate bottlenecks that such systems are designed to prevent.